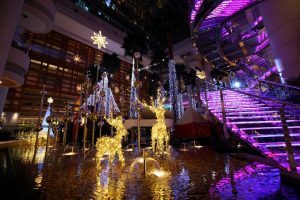 Shanghai, China, November 27, 2015 /ChinaNewswire.com/ - This year, back by popular demand, the hotel continues to kick off the festive season with a series of signature grand Christmas and New Year's events. "Not only do we have dinner parties hosted respectively by Westin Venues: The Stage, Prego, Heavenlies; but we are also embracing the holidays with special festive Brunches on Christmas Day and New Year's Day," said Johanna Klaasen, Director of Food & Beverage of the hotel. "With exquisite cuisines, exciting performances and live entertainment, your festive season at The Westin Bund Center Shanghai is bound to be a wonderful and magical one!" she added. Santa Claus is coming to Aperitivo and he is bringing the Martini with him! Join Aperitivo and experience a traditional Italian Christmas antipasto buffet while sipping on a delightful selection of Martini Christmas cocktails. Dress up as your favorite Christmas character and go in the running to receive give-aways and win prizes. Have the perfect head start to the festive season with our Christmas warm up brunch. Enjoy a delicious range of sumptuous holiday foods, desserts and cocktails and be swept away by an afternoon of entertainment, live performances, Westin Kid’s Club festive activities and lucky draw prizes. Christmas is the time for spending time with the ones you love the most. Get into the holiday spirit and enjoy precious times with family and friends while experiencing the world's best festive cuisine this holiday season. We offer Christmas culinary traditions from across the globe and promise an evening filled with delicious food and drink, exciting live entertainment and family laughter this Christmas Eve at Westin. Take the bother out of Christmas Day and allow us to do the cooking for you. Relax and enjoy this special holiday with family and friends and spend a leisurely afternoon sipping Taittinger Champagne and indulging in all your favorite holiday foods. Be entertained by live performances throughout the afternoon, table visits from Santa, Westin Kid’s Club festive activities, gifts and lucky draw prizes. Indulge in a spectacular seafood buffet experience unlike any in Shanghai as our team of Chefs brings the very best from the ocean to your table. •	An exciting lucky draw with over 50 prizes to be won! Gear up for 2016 in style. Bring your family and friends along to enjoy a decadent afternoon sipping Taittinger Champagne, drinking new year’s cocktails, trying a few shots at the shot bar and indulging in all your favorite foods. Be entertained by live performances throughout the afternoon and go in the running to win lucky draw prizes. Our chefs are excited to present a nutrient packed powerhouse Super Foods New Year’s Day recovery feast! All ingredients have been specifically chosen and prepared for their health promoting, detoxifying and nutrient rich properties. Enjoy the sheer goodness of our super-sized selection of Super Foods detox juices, health shots, smoothies and cocktails along with free flow Taittinger Champagne. The Westin Bund Center Shanghai is located at 88 Henan Middle Road, Shanghai 200002, China. Tel: (86 21) 6335 1888. Westin Hotels & Resorts has been a leader in wellness and hospitality for more than a decade. Today, Westin has 200 hotels and resorts in nearly 40 countries and territories, and is owned by Starwood Hotels & Resorts Worldwide, Inc., one of the leading hotel and leisure companies in the world with nearly 1,200 properties in 100 countries and 181,400 employees at its owned and managed properties. Starwood is a fully integrated owner, operator and franchisor of hotels, resorts and residences with the following internationally renowned brands: St. Regis®, The Luxury Collection®, W®, Westin®, Le Méridien®, Sheraton®, Four Points® by Sheraton, Aloft®, and Element®. The Company boasts one of the industry's leading loyalty programs, Starwood Preferred Guest® (SPG®), allowing members to earn and redeem points for room stays, room upgrades and flights, with no blackout dates. Starwood also owns Starwood Vacation Ownership, Inc., a premier provider of world-class vacation experiences through villa-style resorts and privileged access to Starwood brands. 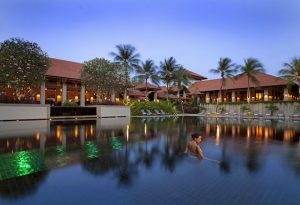 For more information, please visit www.starwoodhotels.com. Beijing, November 21, 2015 /ChinaNewswire.com/ - The second international forum "Understanding China" was successfully held at Sunrise Kempinski Hotel, Beijing and Yanqi Island from 1-4 November 2015. This is the second time for the Kempinski team to successfully complete their mission to host a global forum after APEC in 2014. 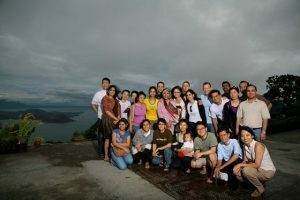 At the second "Understanding China Conference", about 100 former political leaders, intellectuals and entrepreneurs from different countries, including Italy's former Prime Minister Mario Monti, former Swedish Prime Minister Carl Bildt , former President of Pakistan Shaukat Aziz, former President of Chile Ricardo Lagos, former Prime Minister of Australia Kevin Rudd, Singapore's former Foreign Minister George Yeo, where personally welcomed by General Manager Brice Péan. "We are highly valued and appreciated by all the international dignitaries and the leaders from the Beijing government for the high quality of service that our Kempinski team has demonstrated," said Brice Péan. Located 60 km (37.3 mi) north of Beijing's city centre, alongside the picturesque Yanqi Lake, Sunrise Kempinski Hotel, Beijing & Yanqi Island is Kempinski’s largest property in China, offering panoramic views of Yan Mountain and the Mutianyu section of the Great Wall. Managed by Kempinski and owned by state-owned Beijing Enterprise Group, this new destination includes 595 guestrooms and suites housed across the Sunrise Kempinski Hotel, Beijing, located along the lake, the Yanqi Hotel and 12 Boutique Hotels, located on Yanqi Island. Leisure facilities include 14 restaurants and bars, two Kempinski The Spa branches, a private marina, the Yanqi Pagoda, recreational and fitness facilities, a kid’s club and beautifully landscaped gardens. Be it dining with loved ones, entertaining business associates, hosting a meeting, staging a conference, celebrating a large or intimate wedding, or a weekend escape with the family, the facilities at Sunrise Kempinski Hotel, Beijing & Yanqi Island offer guests a surprising change from their traditional experience in a resort hotel. Sunrise Kempinski Hotel, Beijing & Yanqi Island destination was the official host venue for APEC China 2014.